Restorative dentistry is more than just a procedure used to correct damaged teeth—it’s an art that requires precision in order for it to be effective. 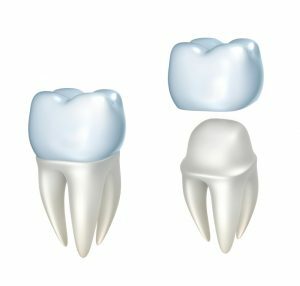 When you need tooth restorations, such as a dental crown, it’s not a one-size-fits-all situation. The treatment and the restorations used have to be customized to fit individual needs and mouth measurements. If a restoration doesn’t fit correction, it opens the door to a host of complications. As a restorative dentist, Aesthetic & Family Dentistry of Washington provides the custom restorations you need in terms of function, appearance and protection. Even with the best dental hygiene, it’s not uncommon for teeth to become damaged from decay. In some instances, restorations may even be needed when a tooth has suffered an injury. Basically, a restoration allows the integrity of the tooth to be saved. It removes the damaged area of the tooth to maintain the health and function of the remaining tooth structure. As a result, it prevents further damage from occurring and even tooth loss. There are a number of restorative procedures that are used to treat damaged teeth, such as fillings and dental crowns. No matter the type of restoration needed, it’s essential the restoration material fits correctly to prevent additional damage from occurring while enhancing the comfort and function of the tooth. Everyone’s dental needs are unique, such as the size and shape of the teeth, which results in a unique bite and alignment of the teeth. As a result, the restoration must fit seamlessly with the existing teeth to not only maintain an attractive appearance, but to maintain proper oral functions and health. A properly fitting restoration will have tight contact with the adjacent teeth. This prevents food and bacteria from becoming trapped. If the crown is too large or too small, the margins of the crown may not be sealed properly. As a result, food and bacteria can become trapped around and inside of the restoration. This then leads to additional decay in the tooth and the surrounding teeth. This accumulation of bacteria will also increase the risk for gum disease. A restoration that isn’t customized will also impact the function of the tooth. You may not be able to chew or close the mouth properly. This will not only put additional strain on the restored tooth, but the adjacent teeth. Overtime, this will cause the teeth and restoration to weaken, leading to additional damage. Not to mention, you’ll experience discomfort as you’re not able to use the tooth correctly. As a restorative dentist, we take the time to create the custom restoration you need to protect your tooth from current and future damage while promoting the function and appearance of the tooth. Using advancements in dentistry, like CEREC crowns, we are able to create an individualized restoration that meets your exact needs. With a keen eye to detail, we’ll ensure your restoration is of the proper size, color, and sealed correctly for an effective and attractive restoration.